In 2010 Neil Gaiman proposed that we have a holiday where we give each other books. I propose that, on Hallowe’en or during the week of Hallowe’en, we give each other scary books. Give children scary books they’ll like and can handle. 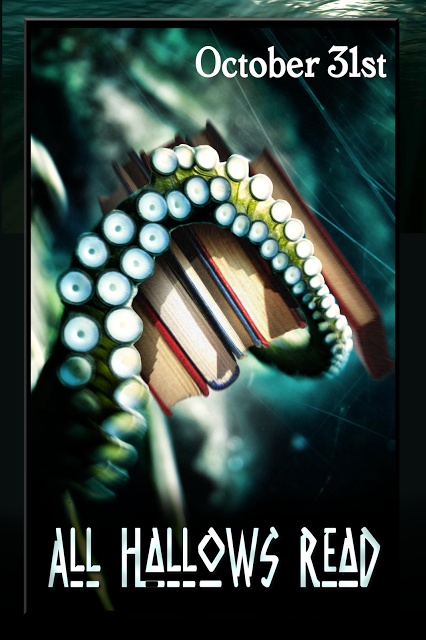 Give adults scary books they’ll enjoy. That’s it. That’s my idea. I’m with you! I think this is an excellent idea!! Let’s start doing this immediately. I am already in love with Halloween (I even had a Halloween wedding!) I think this is a great excuse to give books to people. I love that this isn’t generally considered a gift giving holiday, other than trick or treating, but it totally should be, because Halloween is the best. Plus who doesn’t love getting and giving books!? !